Silk Marquee Linings. 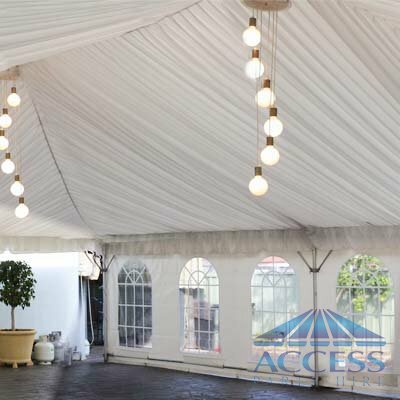 If you wish to create a perfect and elegant setting with a "mist" atmosphere inside your Marquee - you must have it ! Very affordable prices for hire. Equipment you can hire from us is always clean and ready to go to your Wedding Marquee!